Horse Earrings. 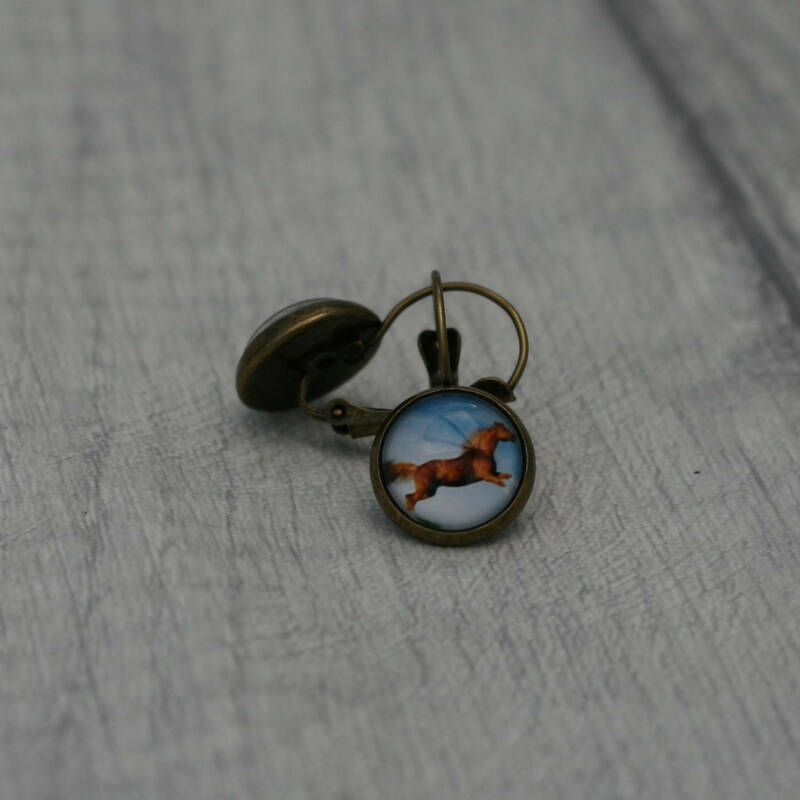 These earrings have been made by encapsulating little horse images under glass domes and setting in antique brass cameo earring frames. • Each earring hangs approximately 0.8" (2cm). Each image is approximately 0.5" (1.2cm) wide. • These earrings very lightweight to wear and would suit any horse loving individual. • All earrings come packaged securely in their very own gift box and will be mailed securely in a bubble envelope.